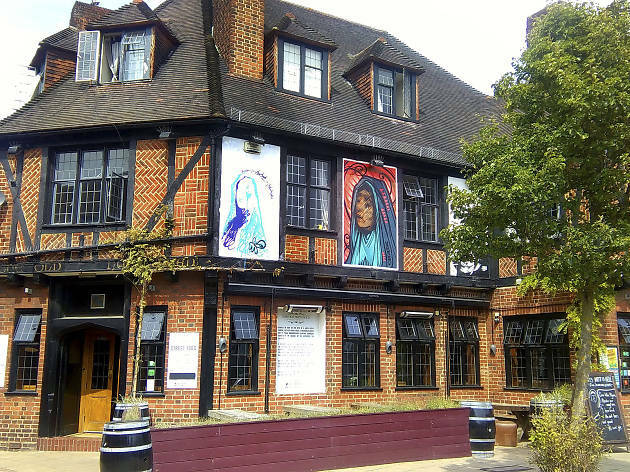 Nunhead, According to legend, takes its name from the noggin of an ill-fated mother superior – chopped off by Henry VIII’s soldiers, during the Dissolution of the Monasteries, and impaled on a spike to intimidate the locals. Thankfully things have become a lot less ‘Game of Thrones’ since then, but with a traditional high street and startlingly friendly inhabitants, the village does feel pleasantly stuck in the past. Numerous family businesses have stood the test of time, with HA Smith the butcher and Ayres Bakery serving the area faithfully since 1955, while famous fishmonger FC Sopers has been standing in its original place since 1897. Caribbean craft beer and bottomless teapot cocktails at Little Nan’s Tropical Den. Hidden beneath the Golden Anchor pub, this small and unassuming venue is for ticket holders only. Expect plenty of popcorn, prosecco and framed pics of Pat Butcher. Bloody marys and buck’s fizz over brunch at The Habit. Embracing Nunhead in name and by nature, this neighbourhood bistro gets its ingredients fresh from the local high street. You’ll be served Instagram-worthy plates in a warm and chatty atmosphere. Locally sourced craft beers at micropub The Beer Shop. On Tuesday nights it has a BYOT (that’s bring your own takeaway) policy. Arrive with food to scoff; owners Lee and Lauren will provide the plates. Traditional Portuguese cuisine at Napura. This family-run restaurant has recently been redecorated to keep up with area’s increasingly hipster vibe. Thankfully it remains entirely unpretentious. Pizza from newly opened Four Hundred Rabbits. These guys use the finest fior di latte mozzarella and San Marzano DOP tomatoes on their bases – apparently, far superior. Find out for yourself. A tasty pastry from the legendary Ayres Bakery. Opened in 1955 by villager ‘Fred the Bread’, this charming period bakery boasts the best cronuts south of the river. Visit Nunhead Cemetery. Spanning 52 acres, this beautiful Victorian site is littered with crumbling nineteenth-century graves, overgrown pathways and abandoned gothic chapels. Just don’t go alone. Yikes! Get on yer bike. But not before you’ve had it serviced at Rat Race Cycles. Mid-century furniture from retro homeware store Papa Bear. A succulent from AG Flowers. These friendly florists will be happy to help you select the one you’re least likely to kill. Pick up a side of salmon or something else scrummy from the sea at FC Soper. Pay a visit to the self-proclaimed ‘Ryan Gosling of Pubs’. The Old Nun’s Head is a lively local that plays host to a ton of pop-ups including I Should Be Souvlaki, and Japanese supper club Fowl Mouths. Dont forget HS Smith Butchers for very affordable good quality meat from a family run team! The Greengrocers is also very good. The Old Nun's Head is indeed very unwelcoming. The staff are visibly annoyed if they have to break off talking to their friends in order to serve you. You could spend ages trying to get in with the landlord and his staff, or you could just go for a pint at the friendly and lovely Pyrotechnic's, thirty seconds down the road. Even the Man of Kent over the road is better, and that place is terrible. Papa Bear isn't open at the moment. A pop-up shop, All These Nice Things is there until 10th September. I believe the print edition reflects this correctly! My 92 yr old mum used to live 10 steps away from the golden anchor ,which was often occupied by my grandad! The fishmonger was Revels not soper. 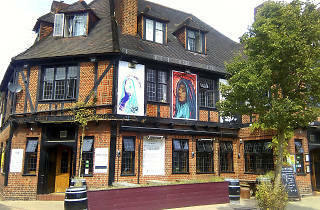 The Old Nun's Head is a truly awful pub. It could be great, but it's being run just for an elite group of hipsters who have open disdain and utter contempt for anyone that's not part of their crowd. Expect rude, slow service. @Alexander E @Desmond L Do you mean I'm mistaken and I actually like it? I shall give that some thought. I think I can see what's happened here. @Alexander E is obviously an elite-level hipster himself, but like the robots in Westworld he doesn't realise what he actually is. He went to The Old Nun's Head thinking he was just a normal person and had a lovely time without any disdain or contempt thrown his way. How droll! I love it! Another wikipedia researched article from Time Out. Keep up the lack of work guys.